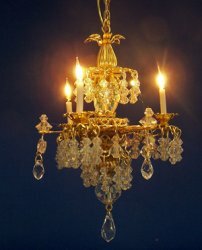 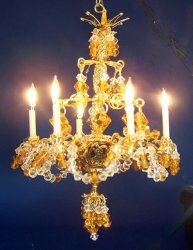 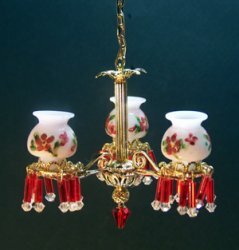 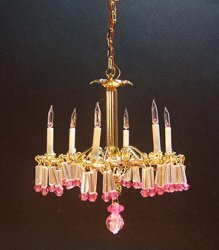 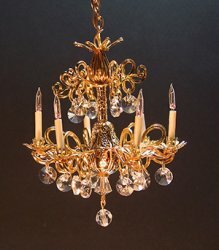 Miniature crystal chandeliers for an elegant Victorian Parlor, rustic chandeliers for your miniature log cabin and more. 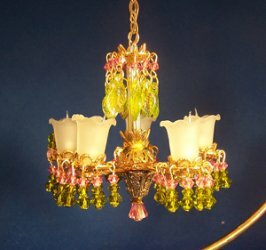 Bulbs are all replaceable. 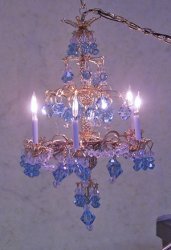 Our chandeliers are now available in a non electric version at sustantially lower prices. 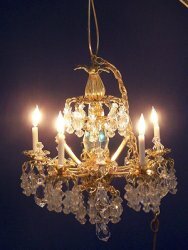 Electric bulbs may be replaced with wax candles or appropriate glass shades. 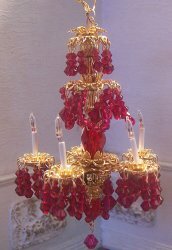 Contact us for details and price.